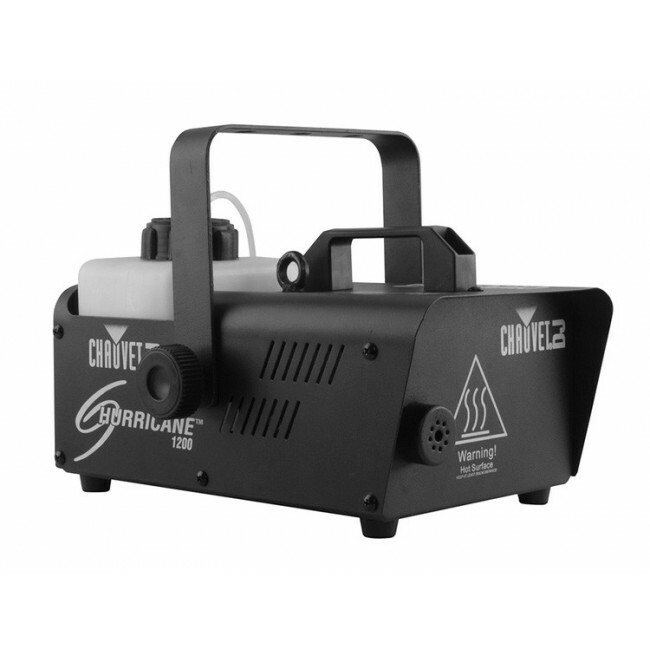 The Hurricane1200 is an impressive 1180W smoke machine which produces a thick fog output onto a large area. 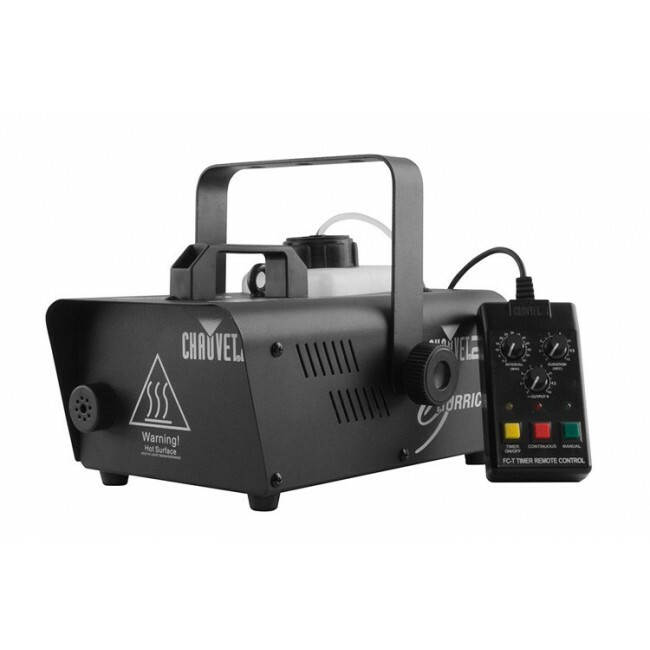 It includes a timer remote for easy use allowing you to set the duration and intervals of the smoke output. 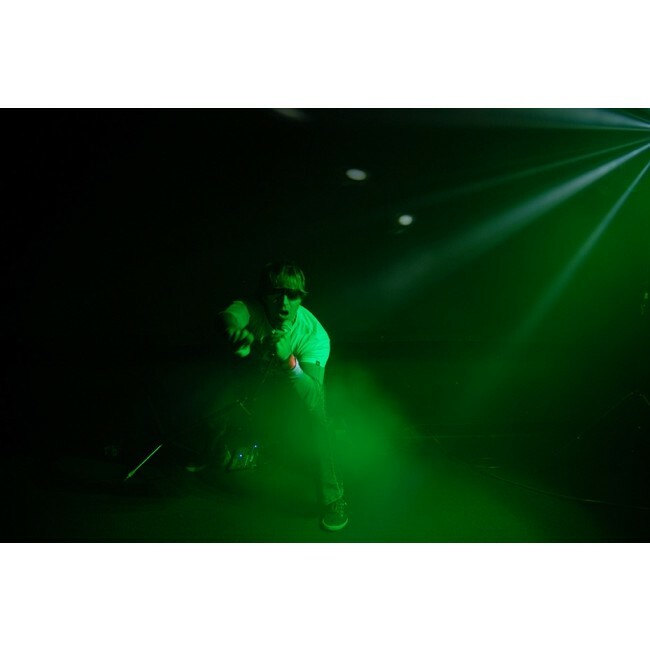 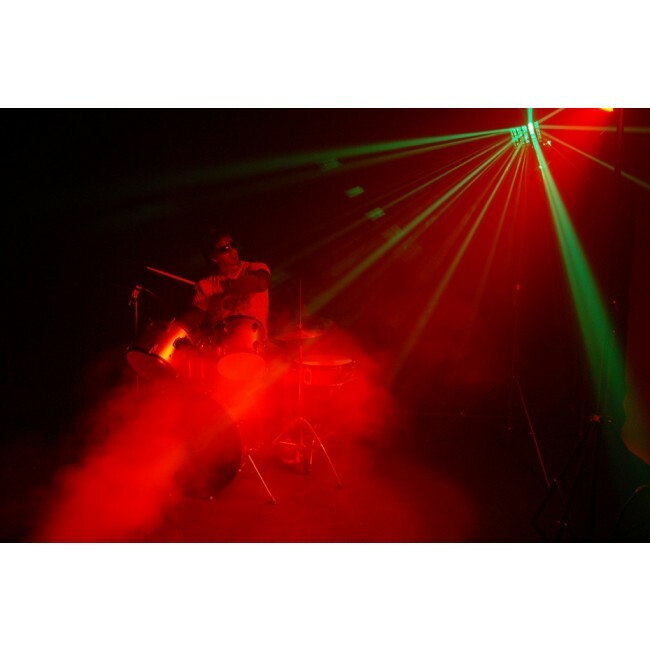 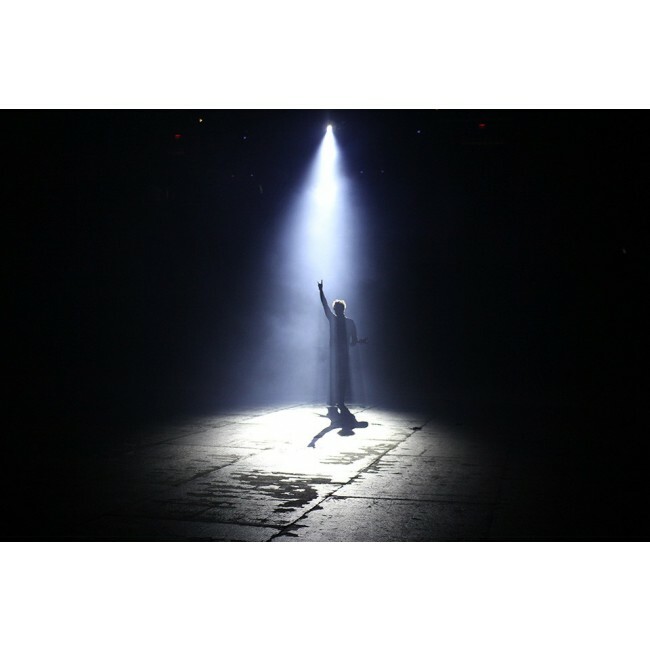 Hurricane™ 1200 is a powerful and portable fog machine that brings any light show to life with a thick fog output. The included timer remote controls the output of fog for precise a precise performance. 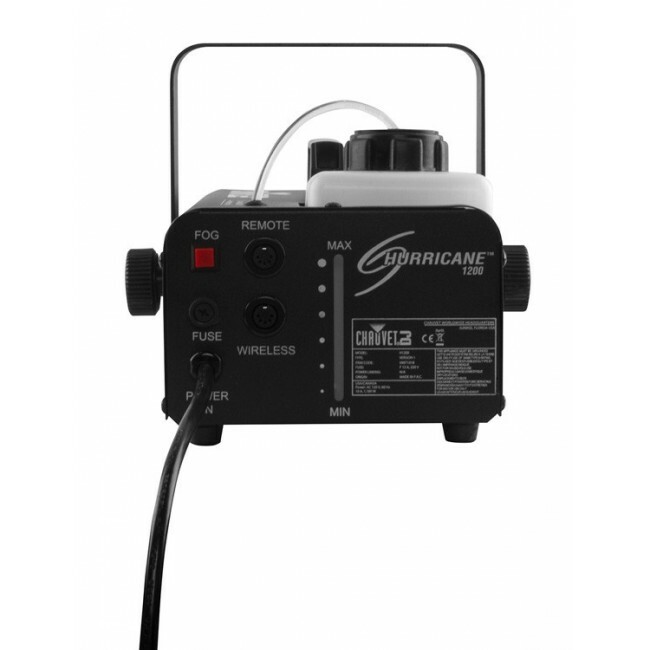 After an initial heat up period, the Hurricane™ 1200 is always ready to provide fog on demand. 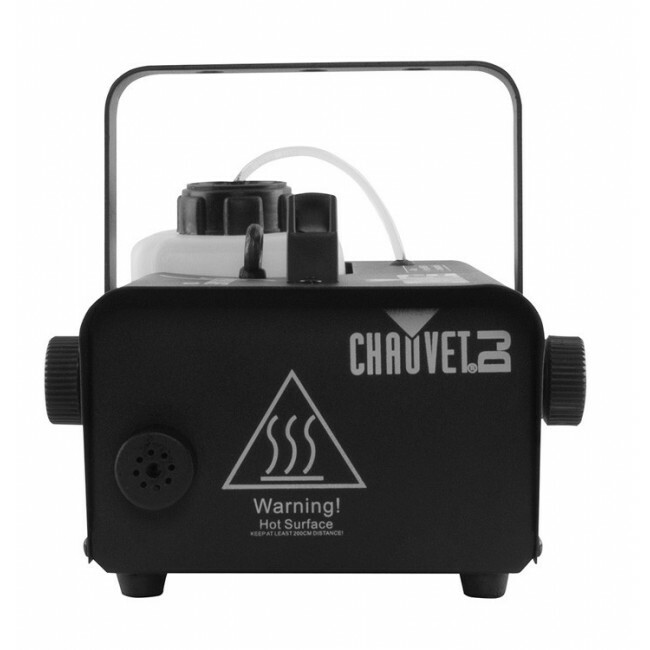 A manual fog button puts easy control at your fingertips and the LED-illuminated tank enhances operation and safety indicating heater status and fluid levels.